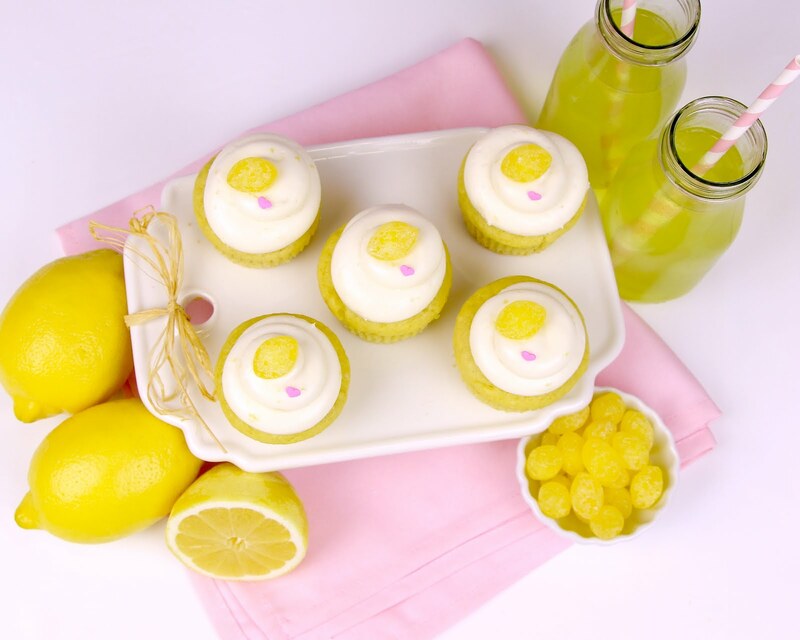 Sweet lemon cupcakes, bursting with bright tangy lemon flavor and topped with a smooth lemon cream cheese frosting! 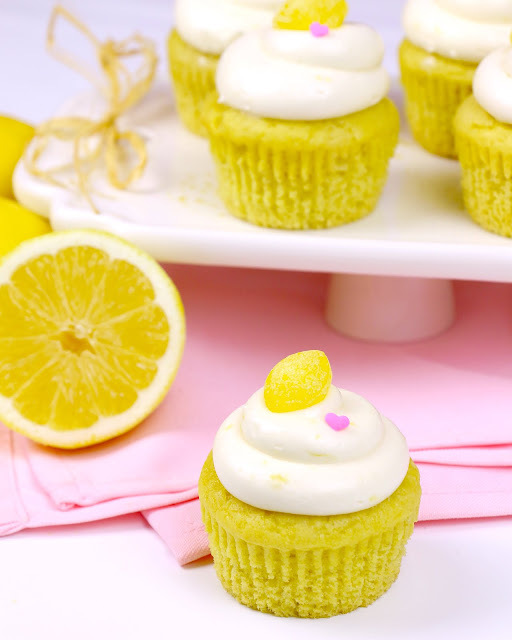 These cupcakes are perfect for any spring or summer occasion. 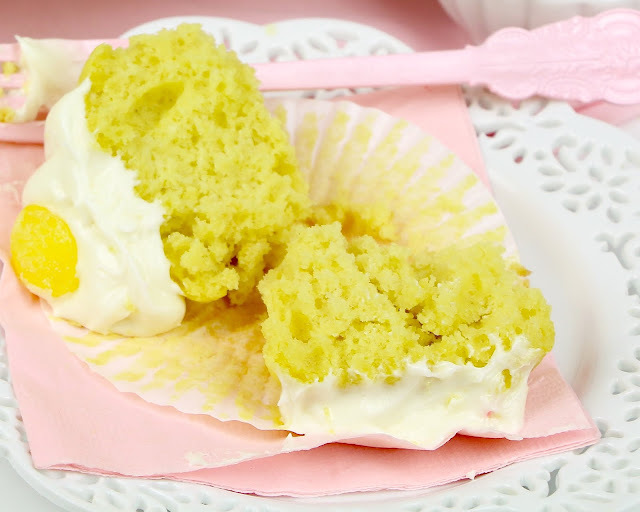 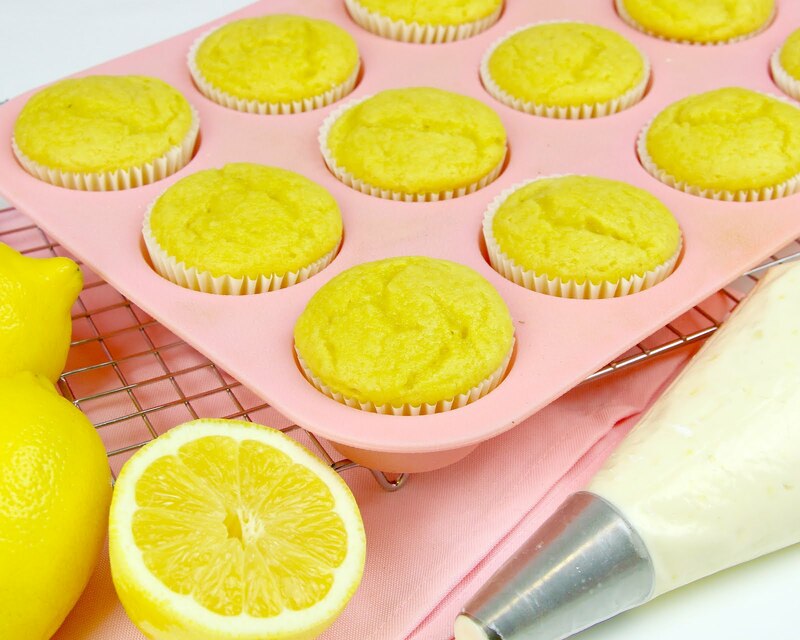 They have just the right amount of sweet, buttery vanilla flavor and zesty lemon tang. 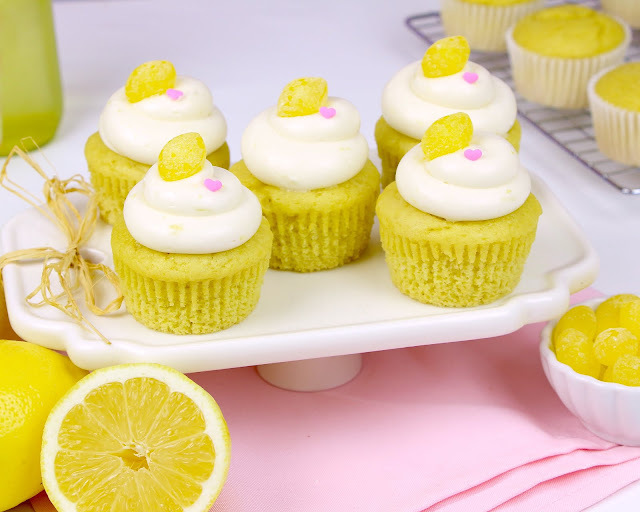 The cupcakes are ultra soft, light and moist with the most amazing, creamy frosting on top! 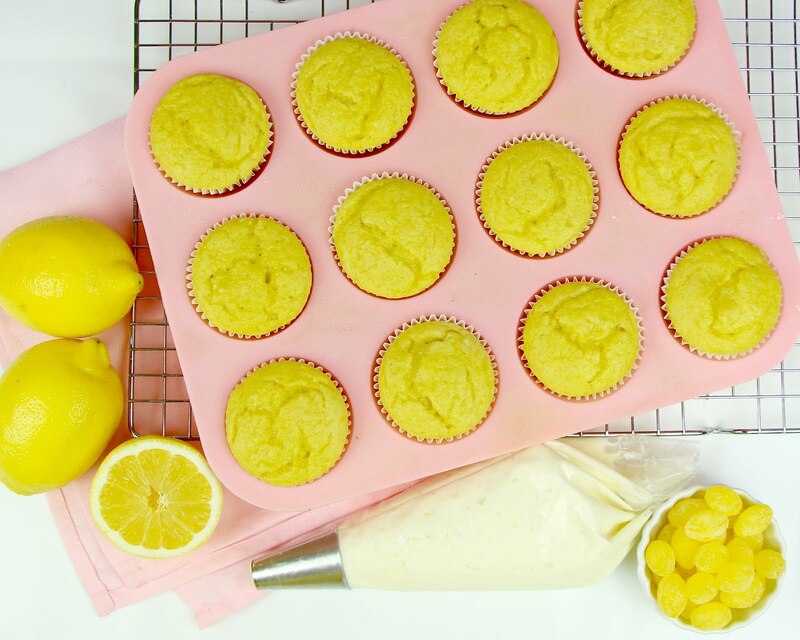 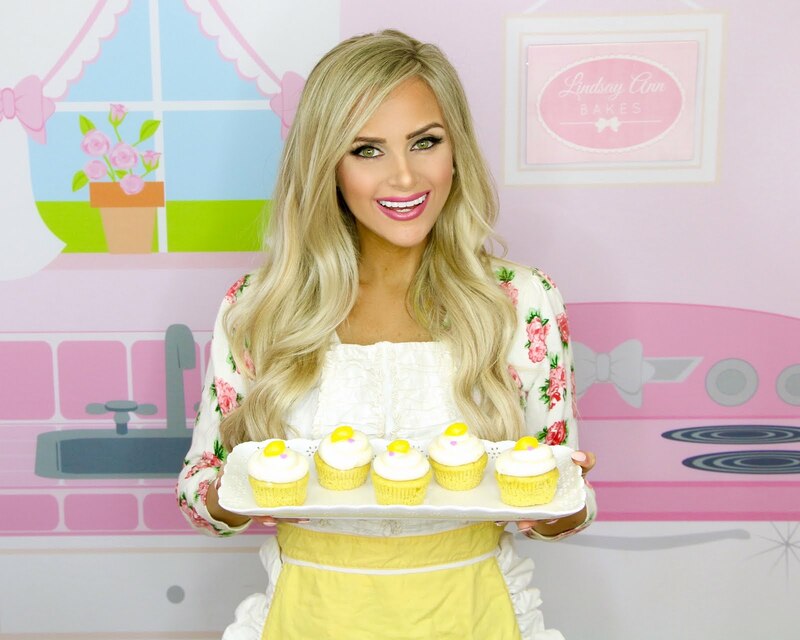 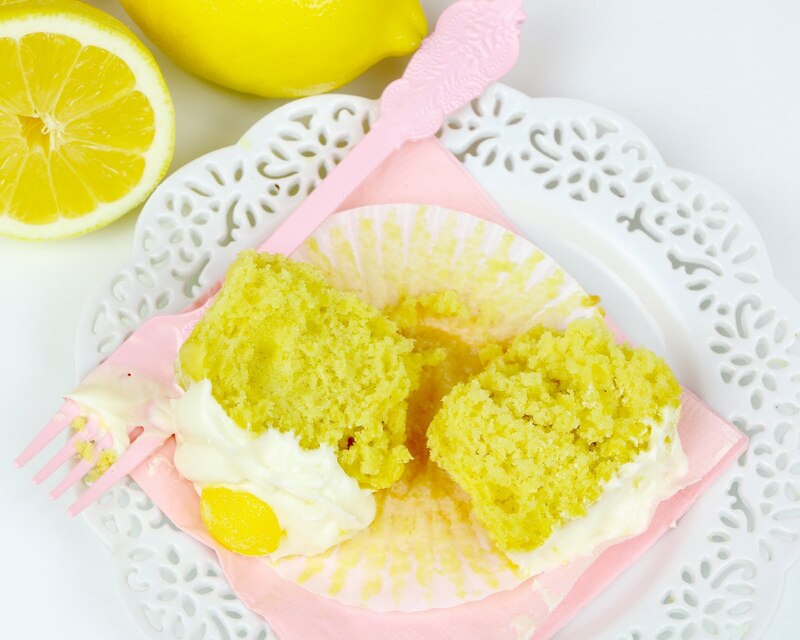 I used my favorite vanilla cupcakes for the base of these cupcakes and added a hint of tangy citrus flavor, with some fresh juice and zest from a lemon, creating the most wonderful flavor combination of sweet vanilla which balances perfectly with the tangy lemon. 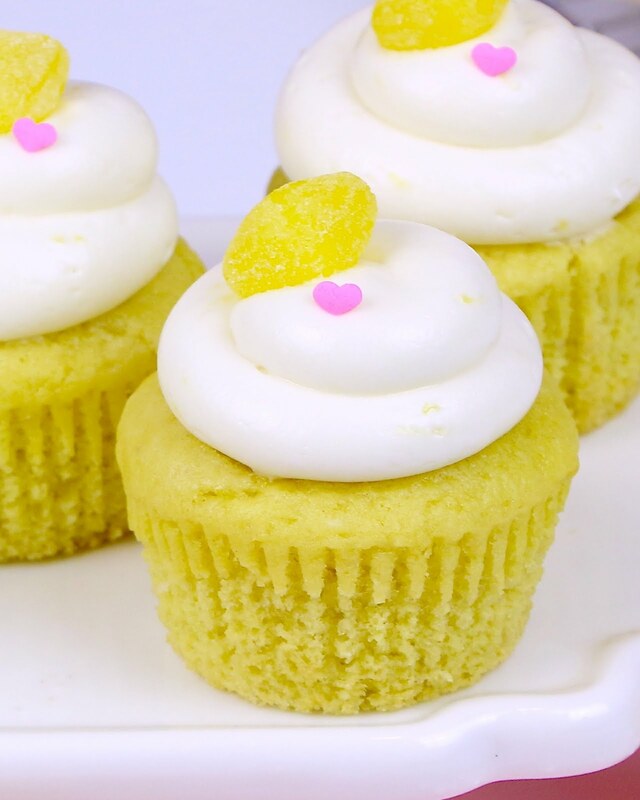 The best part about these cupcakes is the frosting. My ultra creamy, smooth, luscious cream cheese frosting is infused with tangy lemon, for the ultimate creamy dreamy frosting that tastes like a lemon cheesecake! 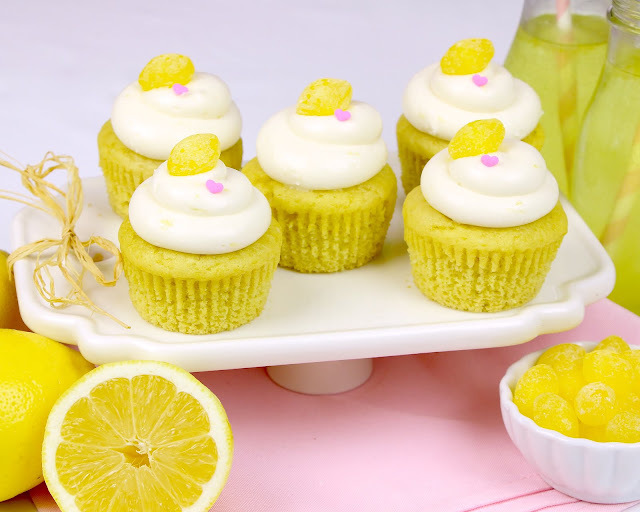 I like to top them off with a little lemon candy, but you can use a twist of fresh lemon or yellow sprinkles, too, if you like. 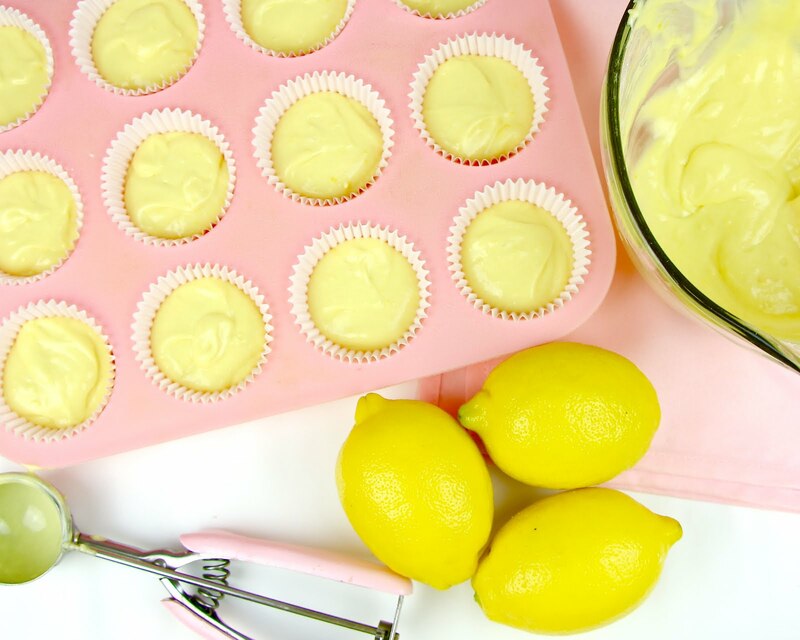 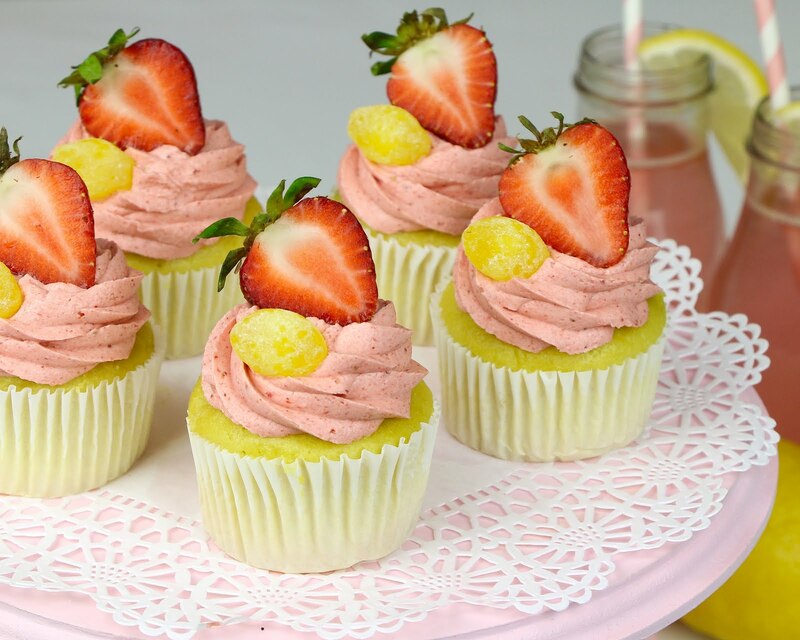 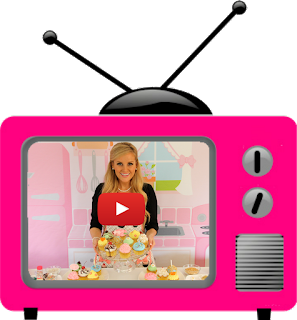 If you like these, you are going to love my strawberry lemonade cupcakes, too! With an electric mixer, beat the softened butter on medium-high speed until light and creamy, about 2-3 minutes. 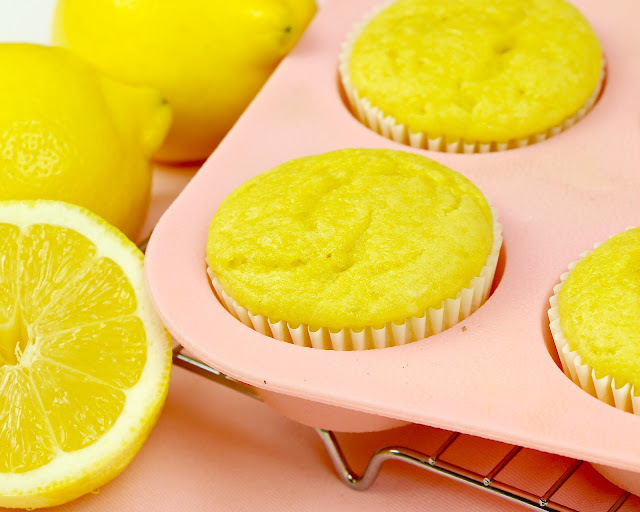 Beat in cream cheese (make sure it is at room temperature so you don't get any lumps in your frosting), lemon juice/zest and vanilla until smooth. Beat in the powdered sugar, 1 cup at a time, on low speed, until fully incorporated. 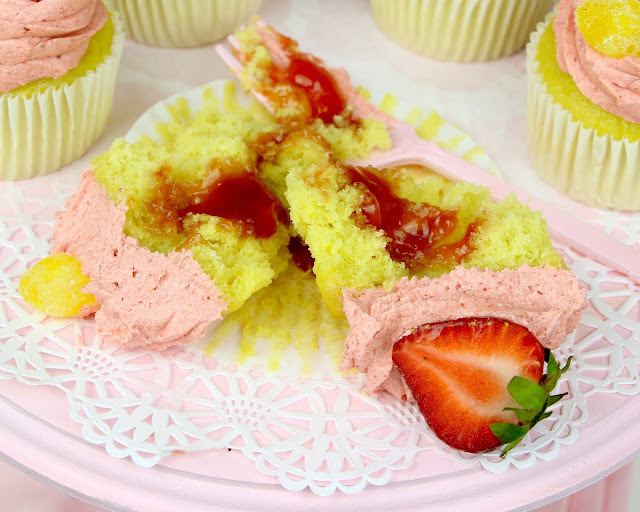 Scrape down bottom and sides of bowl. 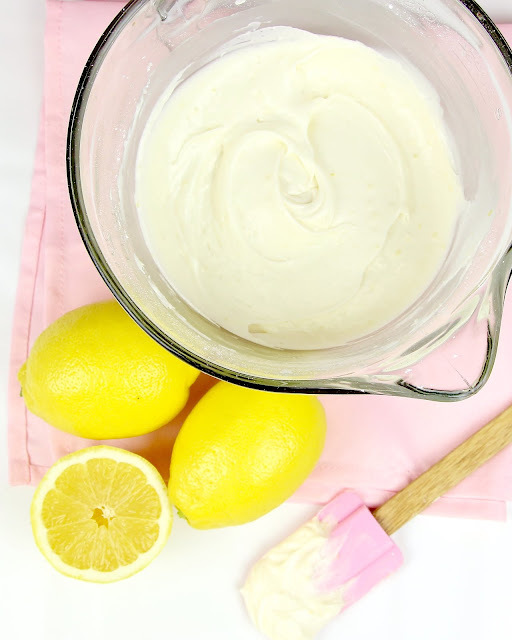 Increase to medium-high speed and beat for an additional 2-3 minutes until smooth and creamy. Frost completely cooled cupcakes. 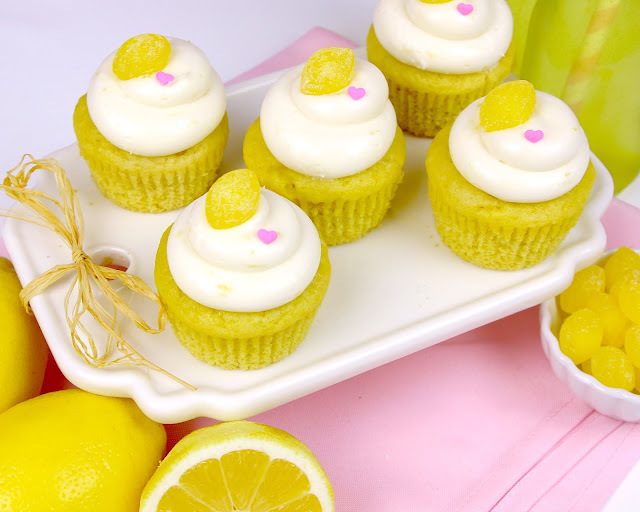 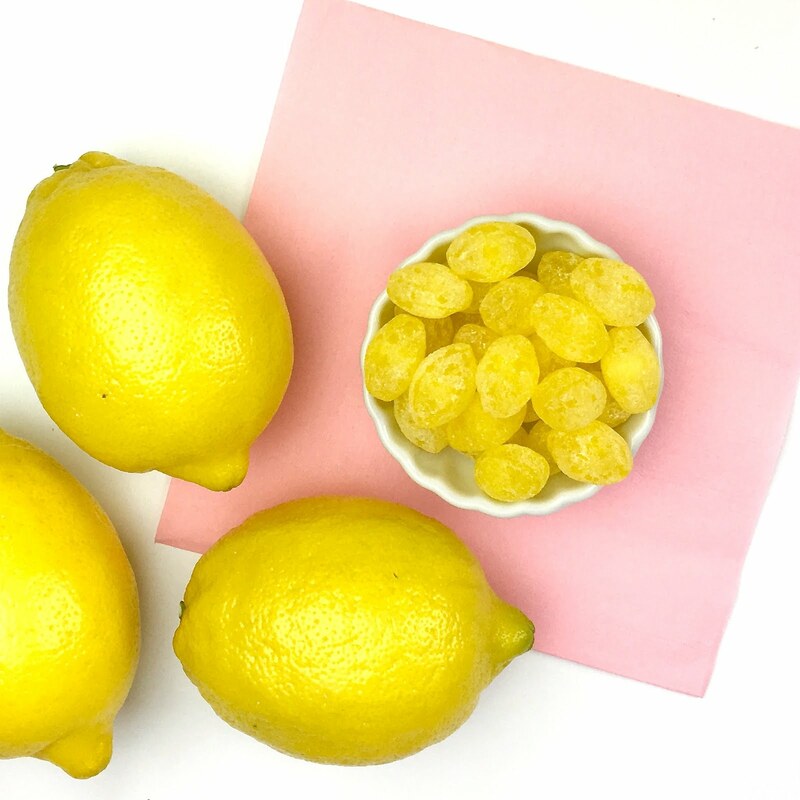 Top with lemon candies, if desired.